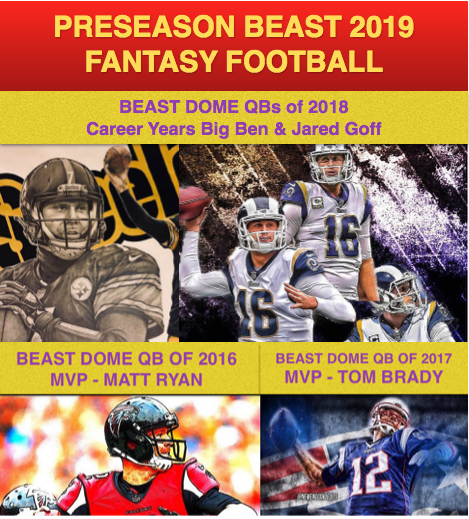 Before I get into Football, there is a special BEAST FRANCHISE TOURNAMENT going on everyday this week where the winner will win one of two prizes. B) .5% of BEAST HEDGE. Everyday there is a game during the World Series, the prizes will be up for grabs. 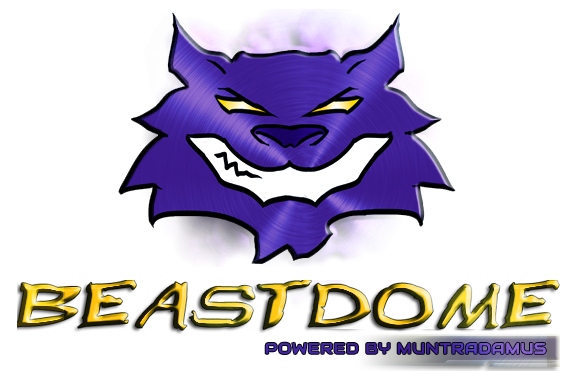 Lineups do not pull until game is posted, so check back around 3:00pm PST for the tournament. When I am wrong, I am wrong. My prediction on the new look Seahawks offense got off to a bad foot as the Rams sold out on stopping the run. In return Doug Baldwin was wide open and had a MONSTER performance with 11 targets 120+ Yards and the TD. Russell Wilson was able to pull a Colin Kaepernick off of the defense and as long as Wilson is running and defenses are selling out to stop Lynch, Doug Baldwin will remind us of the next Golden Tate. While Doug is not a WR #2 quite yet in Fantasy Football, he is on track to be that easily by the end of October. It is clear in St.Louis that Mason is going to be the guy by himself before the season is done. He continues to get more work after his debut on MNF, and the Rams have no other option but to let him loose sooner than later. Stacy is a BUST as predicted, and Benny Cunningham is decent but they already know what they have. Tre Mason still has some risk involved as far as blowing your budget in FABlindBidding. If you are desperate for the Win now, then it is time to buy Mason and pick up the fantasy points. If you are desperate for the win now. Drop 43% of your budget. Denard will be the guy for the Jags as long as he continues to do what he did last week. Toby Gerhart BUST OF THE YEAR is doing nothing and will probably see limited touches when he returns. Jordan Todman is out of a job after playing like garbage. Storm Johnson is nothing but a goal line RB. Denard Robinson who was a QB at University of Michigan is now going to be a starting RB to close out the year and has a favorable schedule. I would steal him off the wire for 30% of my budget. In an article I did earlier this season on why C.J. Spiller was going to be a BUST. 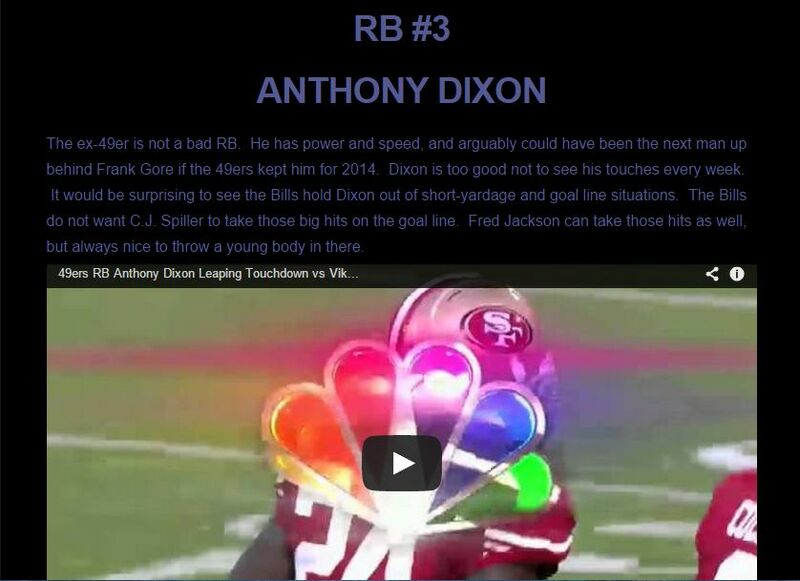 I talked about how good the Bills were even at their #3 and #4 RB Spots. 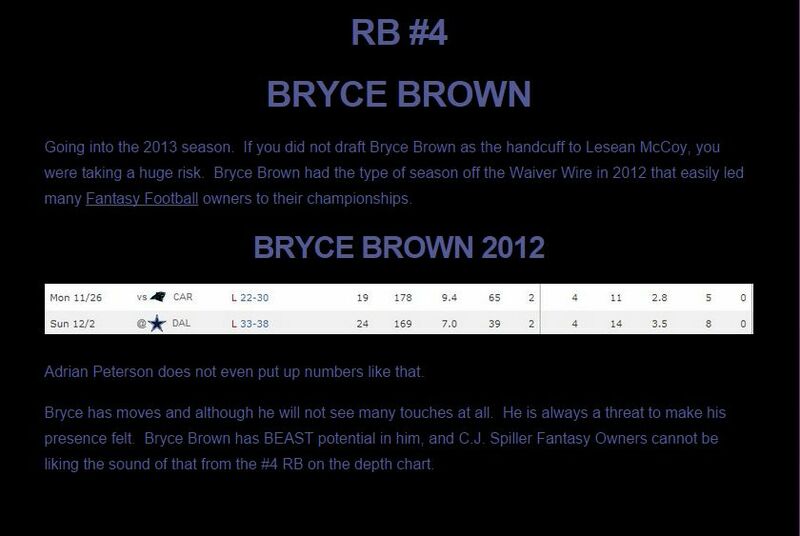 With Fred Jackson due back in 4 weeks or less, Bryce Brown is the guy I want to own right now. He is a more complete RB and could really thrive with a huge dose of carries. This is not a good situation for either Brown or Dixon as both will hurt eachother and Dixon will Vulture the TD runs. Bryce is the HR threat in the offense and if you want a comparison, this could easily turn into Le’Veon Bell/LeGarrette Blount with Bryce Brown being the Le’Veon Bell of the offense. Still, you do not want to blow your budget as Bryce has a tough matchup this week against the Jets, but he can still be used for the desperate. Bryce Brown: 12% of budget if you are win now mode. Anthony Dixson: 9% of budget if you are win now mode and would start him. Keenan Allen or Andre Holmes this week / rest of season? I can drop Holmes & claim Allen off waivers. Awesome read Munt! Would you put D.Baldwin ahead of G.Tate and W.Welker now? Thanks Munt, great article!! 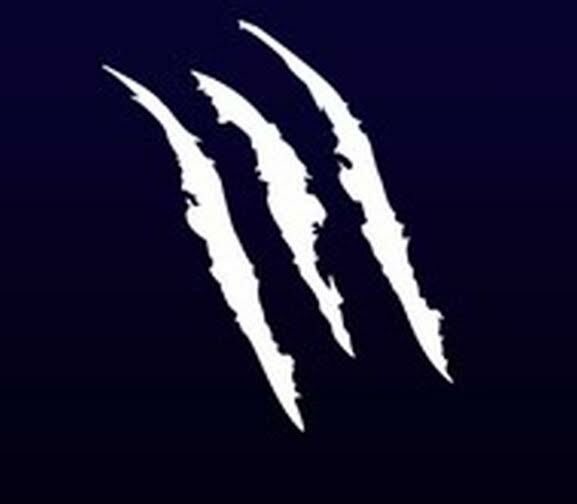 Would you drop Hyde for Tre Mason? Do you think Ray Rice has a chance to come back this season? Someone even dropped D.Martin in my league, I made sure to swoop him up.